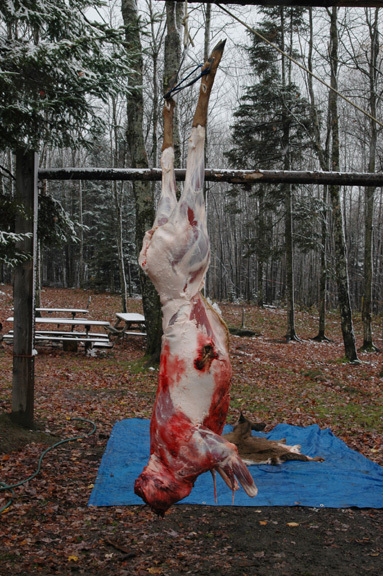 I'll be skinning and boning a nice little buck I took during bow season. 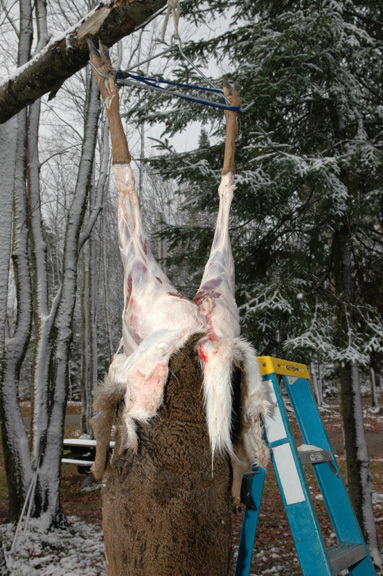 He's a 7-pointer and weighed in at 177 pounds field dressed. 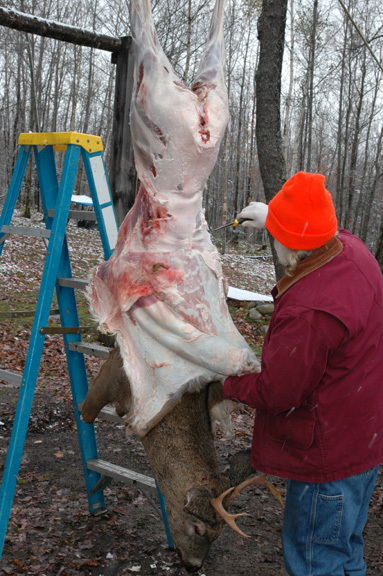 I'm sure there are many ways to skin and bone a deer, this is just the way I do it. My dad taught me how to fish, however he wasn't able to teach me how to hunt. I learned on my own just using common sense. 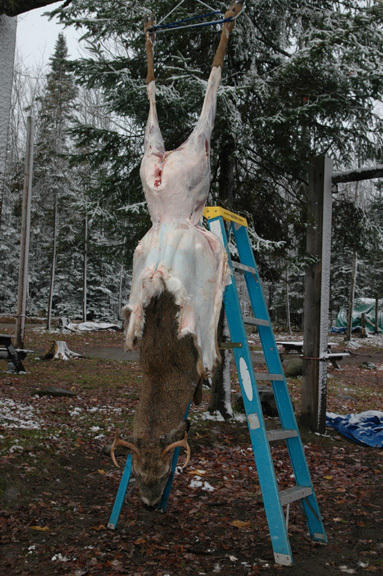 This is the fourth deer I've harvested in the last 11 months. Vermont law allows me to take 3 this year (two last year) so I'll be harvesting one more later in the year. Very good eating! It was real cool out, 20° with a damp wind. 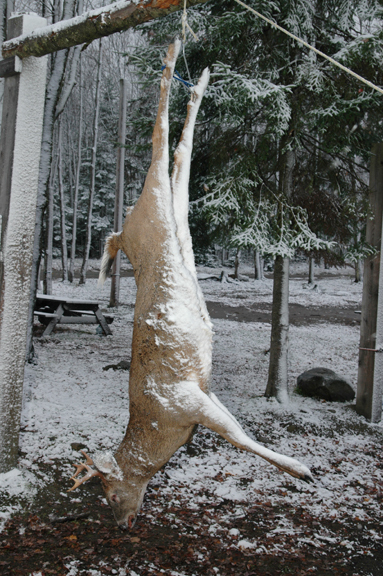 First, hang your deer from it's rear legs. Then saw off the front legs through the joint. 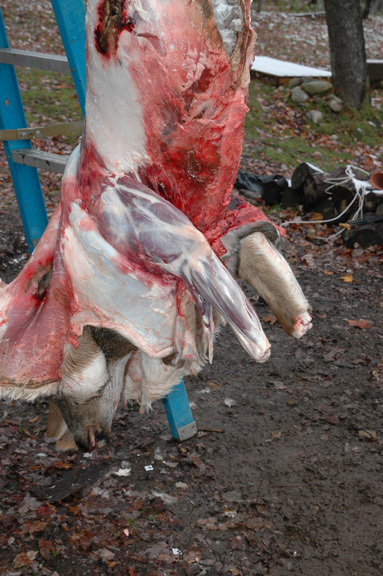 slit down one leg, across the hips, and down the other leg. 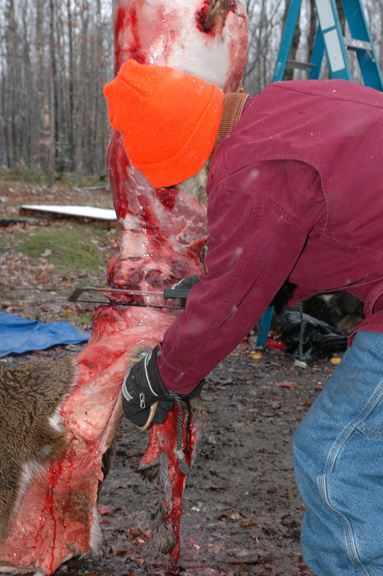 Pull the hide down, working your hand below the tail between the hide and the carcass. 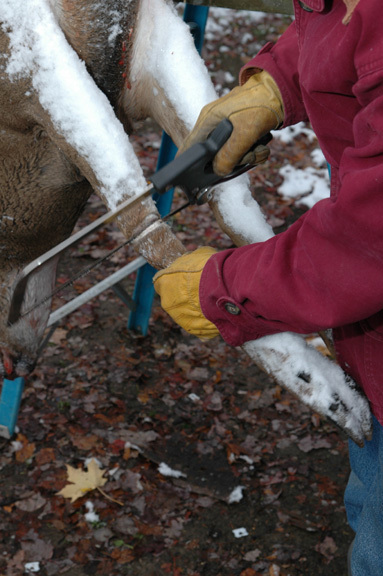 Slip the tail out of the hide or cut it off. 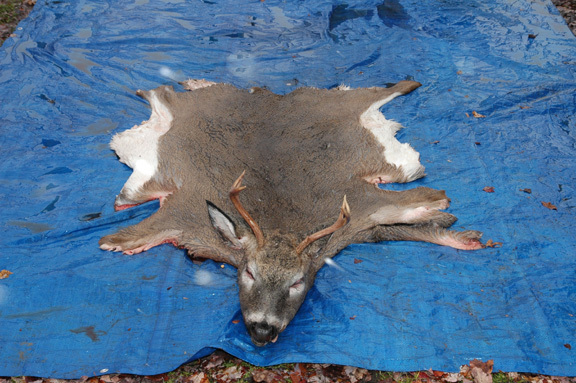 Keep pulling the hide down evenly all around your deer. 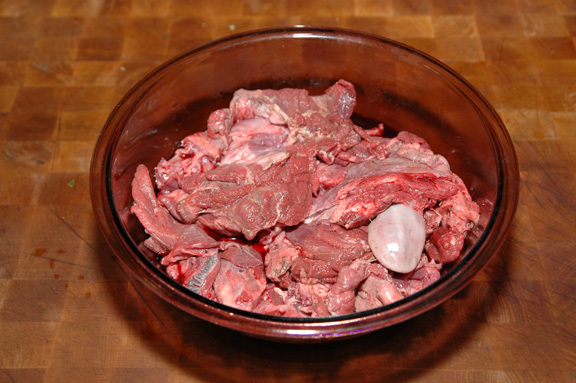 If your hide won't easily pull, just gently use your knife to release the hide from the fat layer. 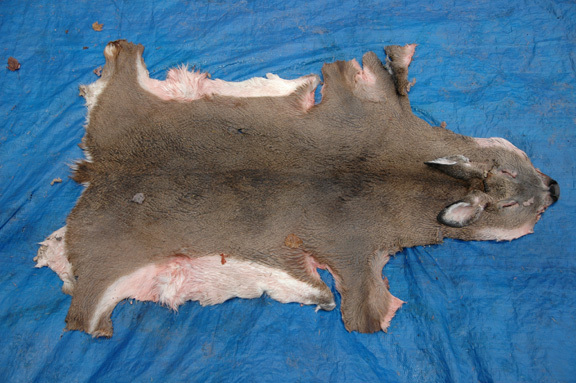 At the front legs slit the hide the length of each leg and gently pull hide away. I always pack my game with ice while it hangs. Finally, saw off the head high up on the neck. 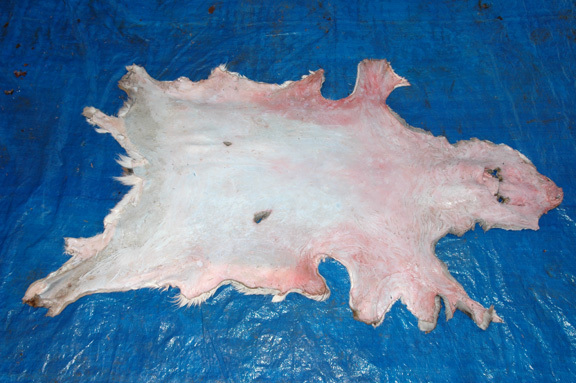 The hide with the head skinned. (important to know in a survival situation).